• The Bible as the divinely inspired, inerrant Word of God: It is in its entirety the sole authority for all matters of Christian belief and practice. • The one true God. In the one true God there exist three persons, being: The Father, The Son Jesus Christ, and The Holy Spirit. • Jesus Christ: His deity, humanity, virgin birth, sinlessness, death, and bodily resurrection; who will personally and visibly return again to earth. • The personality and deity of the Holy Spirit. • The existence and personality of Satan, his total opposition to God, and his power over the unregenerate. • The complete and total depravity of all men which makes them hopelessly lost without the new birth obtainable through faith in Jesus Christ. • The final estate of man: for the saved, everlasting life in the presence of God and for the unsaved, everlasting punishment because of their unbelief. • The Gospel by which we are saved being summed in the death, burial, and resurrection of our Lord Jesus Christ. • The Church being the Body of Christ, united in the Holy Spirit, consisting of those who have received Jesus Christ as Savior. Lindsay Lane Baptist Church is a local church (organized assembly of believers) united for the purpose of carrying out the Great Commission of Christ. • The Great Commission of Christ being to preach the Gospel to all men, baptizing and discipling those who have believed. The above is a brief overview of our doctrinal beliefs. 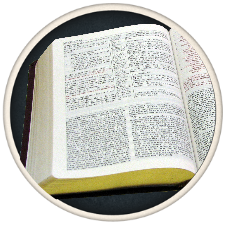 For a complete and unabridged statement of our beliefs, along with Bible references, please click here to view the Doctrinal Statement of the Baptist Missionary Association of America.